Lately I’ve been getting these crazy signs from God and I must tell you about it. Back on January 1st I decided that adding a little of God’s word and a devotional to my daily routine probably wouldn’t be a bad thing. Now, I’m far from a Holy roller…..but a little dose of His word in anyone’s life can only do some good. I couldn’t decide between two devotionals, Jesus Calling and 5 Love Language Daily Devotional. I haven’t even read the 5 Love Language book. I’ve purchased it….but haven’t read it. I decided I would start reading both and if it proved to be too much I’d set one aside for next year. Let me tell you, so far, I get something from both of these devotionals every single day. Sometimes it’s even a little freaky and I kind of think. Ok God….I get it. You’re here. I chose that verse because I’ve been struggling with my patience and anxiety about a certain step in life that everyone’s expecting us to take. I’m totally ready, but I’m starting to tire of waiting for this next step. 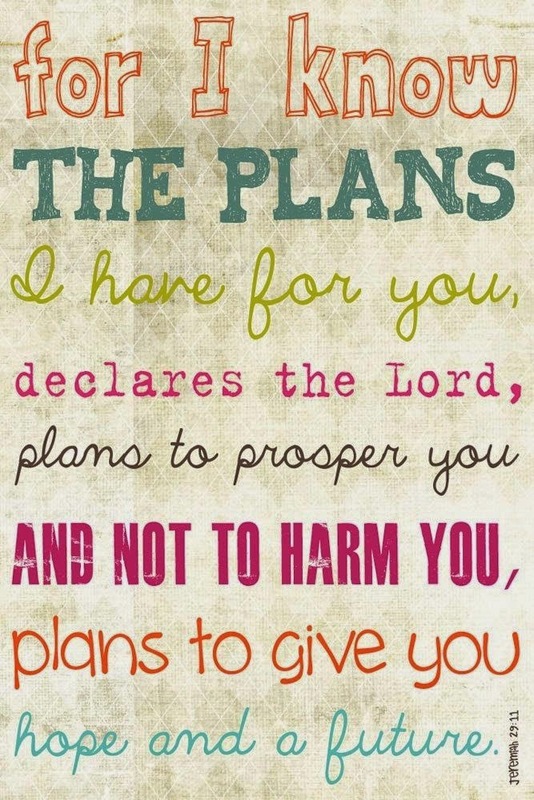 Every time I found myself getting upset or anxious that it wasn’t part of His plan yet, I read that verse over and over. Would you believe me if I told you it was even one of the verses in both of my devotionals? What are the chances of that? This morning I opened up my Jesus Calling devotional and what do you know…..there is Jeremiah 29:11 staring me in the face. And today’s devotional was all about recognizing who is really boss. Not me….nope. Him! I like to be bossy, not going to lie. Just another reminder of the fact that I need to quit trying to figure out what is happening and just let it happen. It’s really crazy how life works sometimes. It’s when you’re just at that low point and you need a little push back up.